ATN provides member companies direct access to buyers, distributors, investors, joint ventures, manufacturers, trading networks, and preferred sources in Asia, Europe, South America, North America, Australia, Africa, Middle East and the United States. *ATN Mission is to Inform, Educate, and Assist companies that want to expand their Businesses Worldwide. 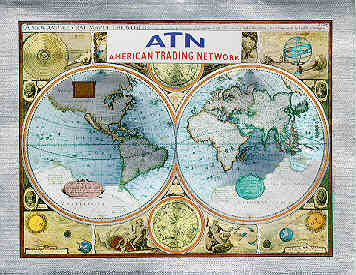 *With a Membership in American Trading Network, your Company becomes part of the premier global organization. *Please send us your idea about ATN Programs.